Hello again! I have one more post for you tonight! 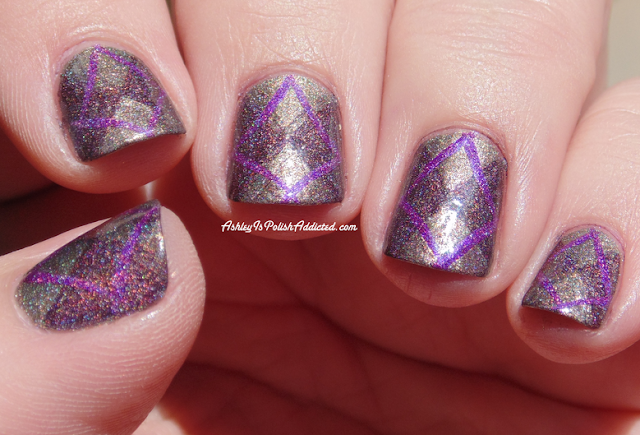 I would have waited to show you this one since it is so late and I already posted a collection review, but today is a special day and this mani was done in honor of my bestie's birthday so I wanted to get it posted today. Today (the 24th) is Sheila's (Pointless Café) birthday and I decided to do a mani inspired by her to celebrate! Sheila loves argyle and has done argyle nails many times. 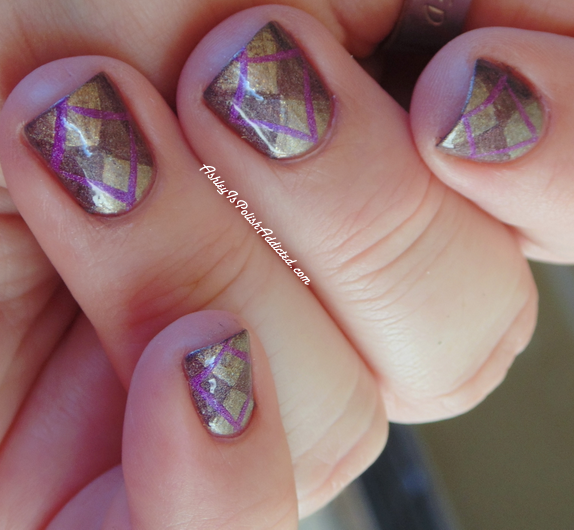 I followed her argyle tutorial to create this mani! 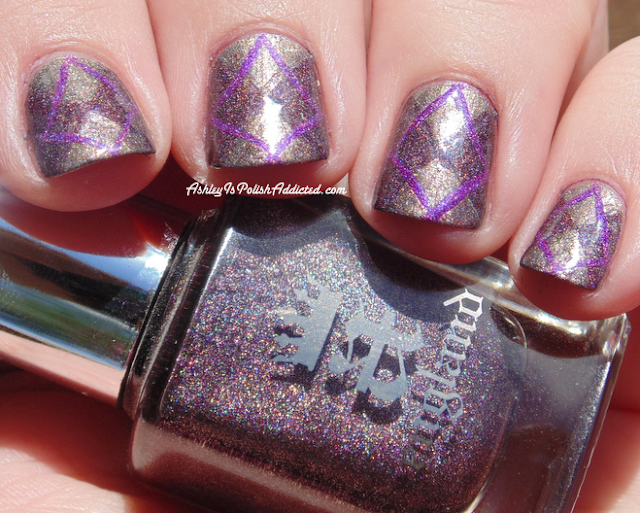 My photos do not do these gorgeous colors justice, and I will have proper review posts on all three colors soon. I used Virgin Queen as my base, Sleeping Palace as the "side triangles" and Crown of Thistles for the lines on top. I did top of the mani with topcoat since it was nail art, but I prefer these polishes on their own sans topcoat. They have such a gorgeous natural finish. I haven't had time to do much nail art recently and I really miss it. It was so nice to make myself sit down and do this today. It seems I need a reason to do nail art when I'm busy! If you are in the UK, you can purchase A-England directly from their website. I got these from Llarowe.com.